Welcome to our collection of TORn’s hottest topics for the past week. If you’ve fallen behind on what’s happening on the Message Boards, here’s a great way to catch the highlights. Or if you’re new to TORn and want to enjoy some great conversations, just follow the links to some of our most active discussions. Watch this space as we spotlight the most popular buzz on TORn’s Message Boards. Everyone is welcome, so come on in and join the fun! 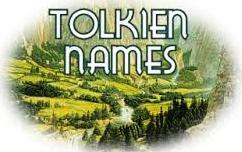 On the Main Discussion Board, Bracegirdle has hit it big with a Tolkien Name Game. Come on in and see what’s happening and see if you can come up with a name that hasn’t been used yet. On the Pollantir, Cirashala sparked a great response on a topic we all face from time-to-time. Check it out here. Want Hobbit Movie News? TORn poster DanielLB bravely ventures into the very rich and fast-moving Hobbit Discussion Board to collect The Hobbit Headlines. Check out the latest action here. We’ll share more topics from the week and hope you join in on the conversation! Don’t forget, TheOneRing.net’s Message Boards have over 11,200 registered Tolkien fans, just like you. Let your voice be heard!